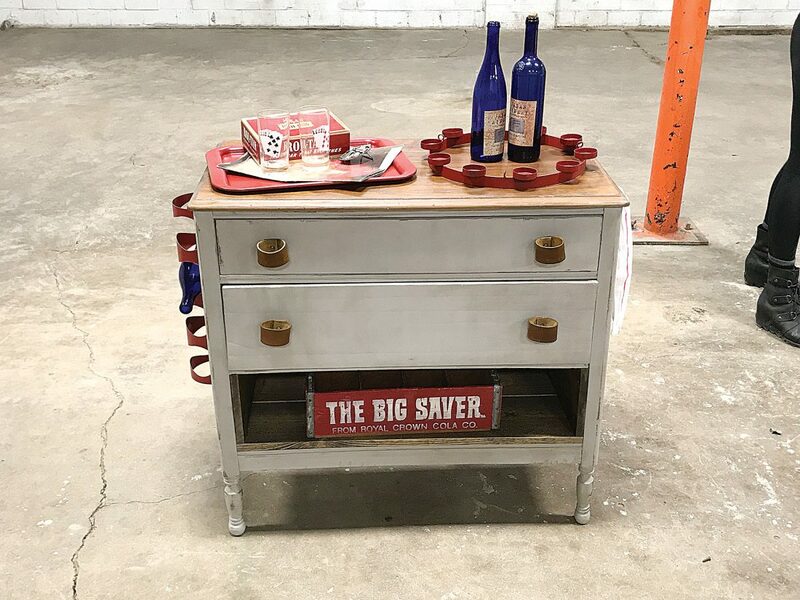 Submitted Photo Winner Sarah Danielson took a dresser and other miscellaneous items and made it into this: an upcycled bar. Her creativity won her first place. POEM Studio here in Minot hosted their first ever Flippin’ Flea Market event this past weekend alongside the Minot Flea Market. The competition encouraged participants to buy unique items from the market to flip into something new. 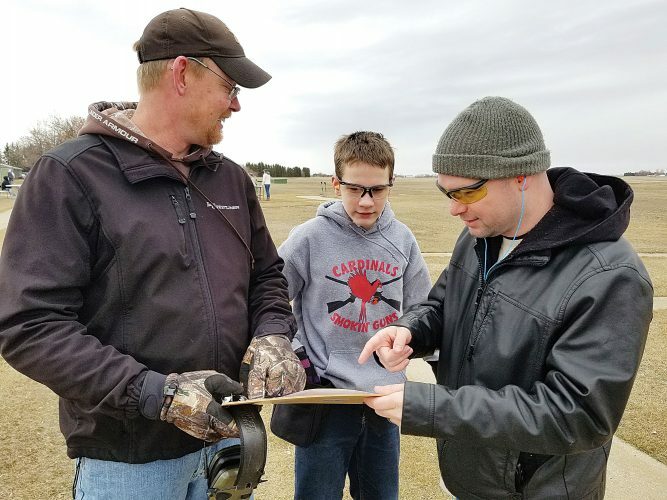 Four teams took part in the event and scoured the Minot Flea Market on Saturday. Teams purchased whatever they found that inspired them to create their flippin’ goals and returned to POEM Studio’s Maker Space Workshop to get to work on their items the following day. “The event was really fantastic. 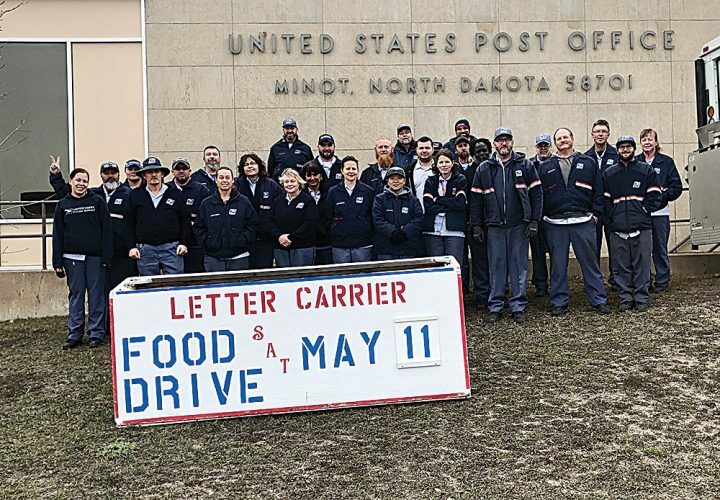 Everyone was working really hard,” said Dennis Lindahl of POEM. The creations of the teams were judged by a panel of local artists before the winners were determined. The first place winner of the POEM’s Flippin’ Flea Market was Sarah Danielson, who won the top prize of $500 cash and a $500 art studio gift certificate. 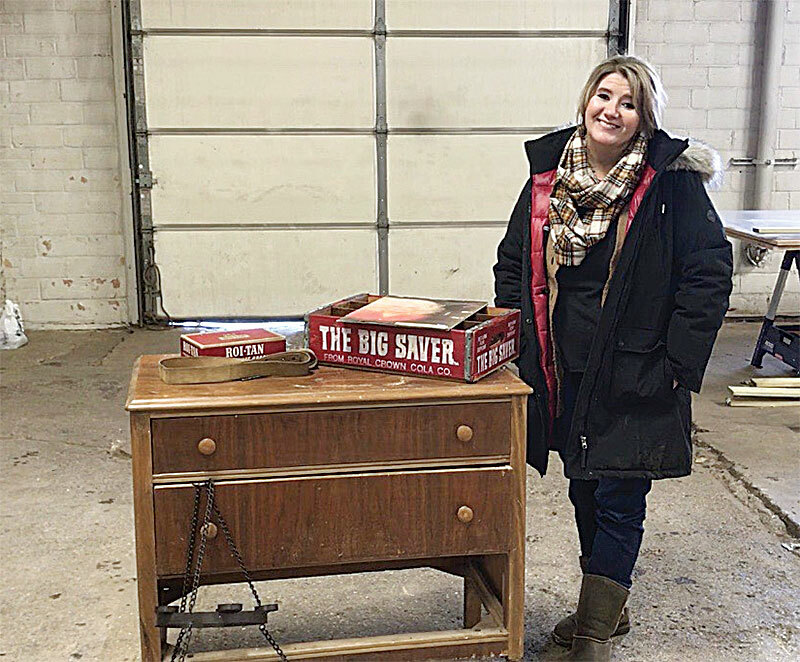 The winner of POEM’s first ever Flippin’ Flea Market was Sarah Danielson, shown here with the items she purchased to flip into something new. She was one of four teams who worked for the First Place prize of $500 cash. Danielson went to the market and purchased a dresser and other miscellaneous items to create an upcycled bar. Second place was awarded to Seth Fetterolf and third went to Jenny Gaaskjolen. 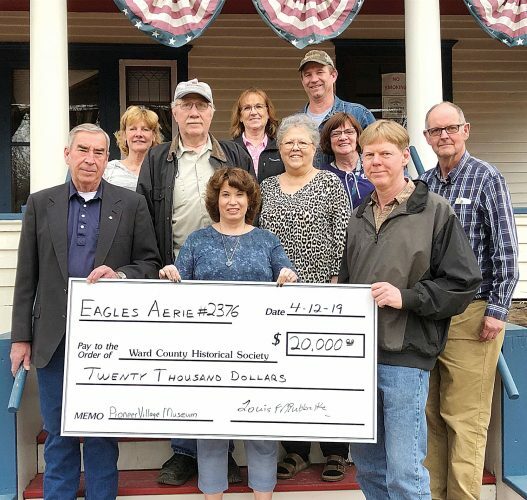 The event was well received for its first time from both the community and the Minot Flea Market itself. “They told vendors we were coming and they then brought items that they thought would be better to be flipped,” explained Lindahl. The event was held to try and show the community what POEM has to offer. POEM plans to host a second Flippin’ Flea Market on the weekend of March 2 to give more people a chance to showcase their flippin’ skills and learn more about POEM Art Studio. POEM, ‘People of Earth Matter’ is a division of Mandaree Enterprises and has been serving the community by providing hands-on training with new technology such as 3D printers, industrial laser cutters, CNC machines, and more.